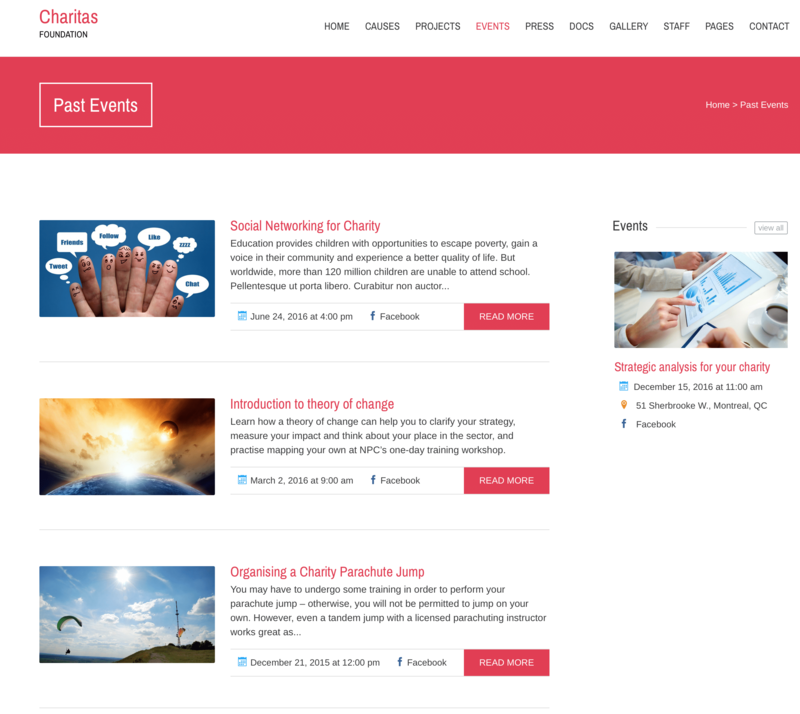 The Charitas theme comes with two page templates to display Events. Importantly, select either Events: Past or Upcoming Events. 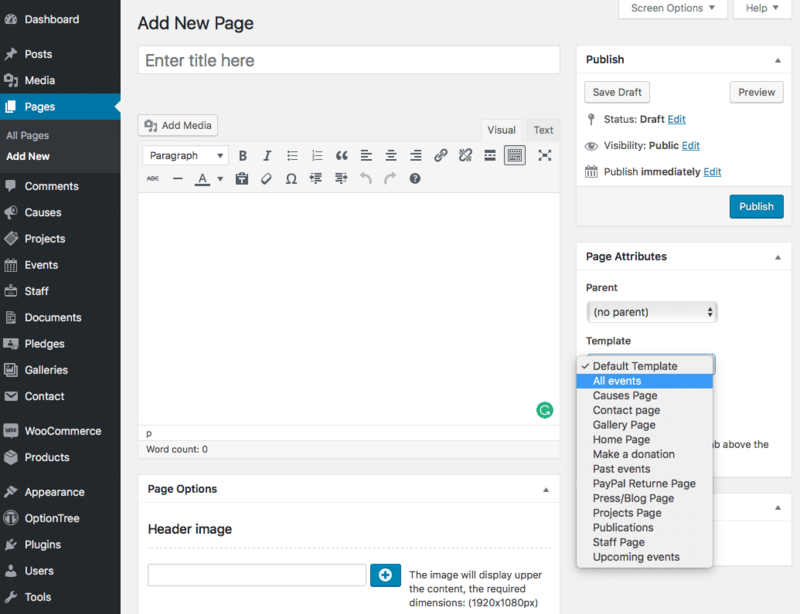 Save the page. 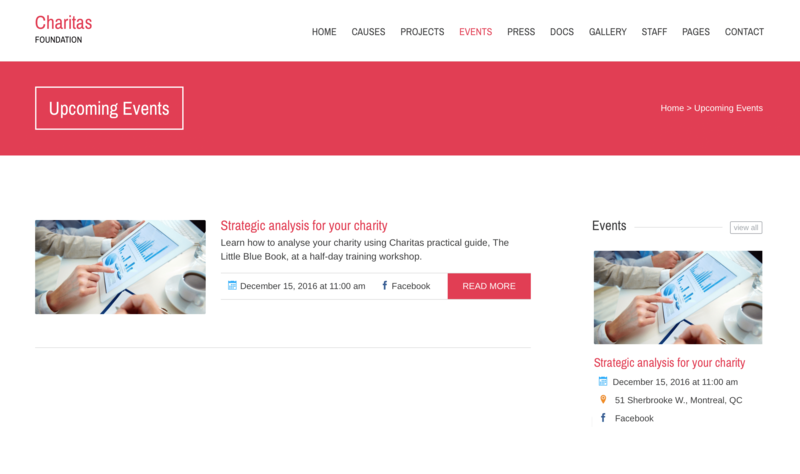 Your events will now be displayed on that page.